Navnit Dholakia was appointed Baron Dholakia of Waltham Brooks and introduced to the House of Lords on 29 October 1997. Lord Dholakia was appointed as Deputy Lieutenant for the County of West Sussex in June 1999. He is the President of the National Association for the Care and Resettlement of Offenders (NACRO) and chairs its Race Issues Advisory Committee. He is a Vice President of the Mental Health Foundation, Vice Chairman of the Policy Research Institute on Aging and Ethnicity and serves on the House of Lords Appointment Commission. Lord Dholakia is a trustee of Pallant House Gallery in Chichester and the British Empire and Commonwealth Museum in Bristol. Previously he has held appointments with the Commission for Racial Equality and the Police Complaints Authority. He has served on the Council of Save the Children Fund and the Howard League of Penal Reform. He continues to serve on the Editorial Board of the Howard Journal. 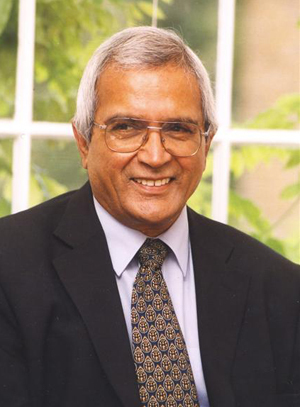 Lord Dholakia was a member of the Ethnic Minority Advisory Committee of the Judicial Studies Board and served on Lord Carlisle’s Committee on Parole Systems Review. He served as a Magistrate and also as a member of the Board of Visitors for HM Prison Lewes. He was elected President of the Liberal Democrats from 2000-2004. He was appointed Deputy Leader of the Liberal Democrats in the House of Lords in December 2004. Lord Dholakia has won a number of prominent awards including “Asian of the Year” in November 2000. He was awarded the Pravasi Bharatiya Samman Award by the Government of India in January 2003. In 2008 he was awarded the Melvin Jones Fellowship by Lions Clubs International Foundation. Lord and Lady Dholakia have two daughters; Anjali who is a Lawyer and Alene who is a Doctor of Medicine.